Epic has ambitious plans for its most popular game. Epic Games will make big changes to Fortnite’s planes, zip lines, rocket launcher, and more in its upcoming 7.40 update. The balance tweaks to some of the game’s more controversial weapons and items come amid growing complaints from the community about the current state of Fortnite. And Epic says these are just some of the changes on the way. Fortnite remains the biggest battle royale game in the world, and it’s unlikely that will change anytime soon — despite mounting pressure from Apex Legends. But there has been some frustration among the community, particularly from long-time fans, following changes made throughout season seven. 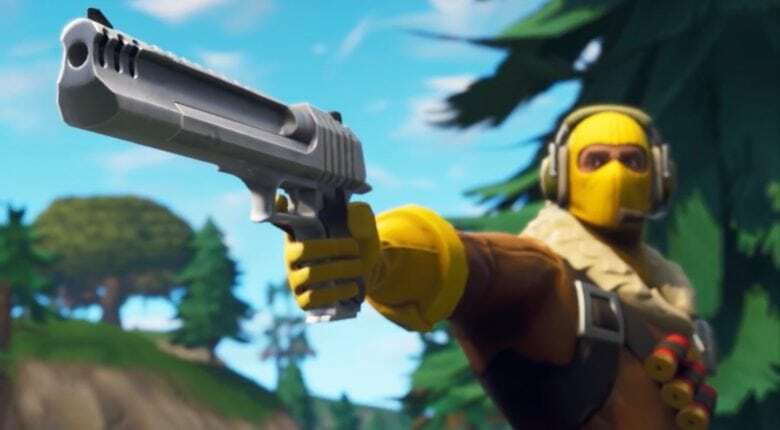 Epic has finally acknowledge many of the complaints and has vowed to made big changes to some of those controversial weapons, items, and vehicles. These are just “some of the changes” that will be included in this patch, Epic says. Its full release notes will be published on the morning of the update’s roll out. They might not look it, but some of these tweaks are huge for frequent Fortnite players. Preventing planes from breaking structures will provide a much more enjoyable experience for builders — just like the reduced structure damage of the Hand Cannon, which will no longer be able to shoot down wooden pieces with one round. The new zip line prompt means you won’t end up on a zip line accidentally, and fall damage immunity means you can jump off when being shot at and you won’t plummet to your death. The increased reload time of the rocket launcher and its removal from chests are obviously welcome changes. Many of us would prefer to see the RPG removed altogether, but if it’s staying in the game, any nerf is a good one. When Fortnite 7.40 rolls out this week, we’ll bring you more information on the changes it brings. We’re expecting it to be a big one that addresses a whole host of problems ahead of season eight, so let’s hope Epic doesn’t disappoint.